Ha! We have got you covered here.... at least with some ideas for what to cook. 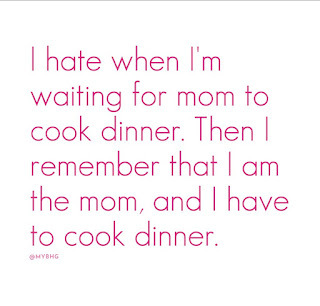 Sorry I can't come and personally cook for you! Refill that coffee, grab a pen and jot down your list for the week. 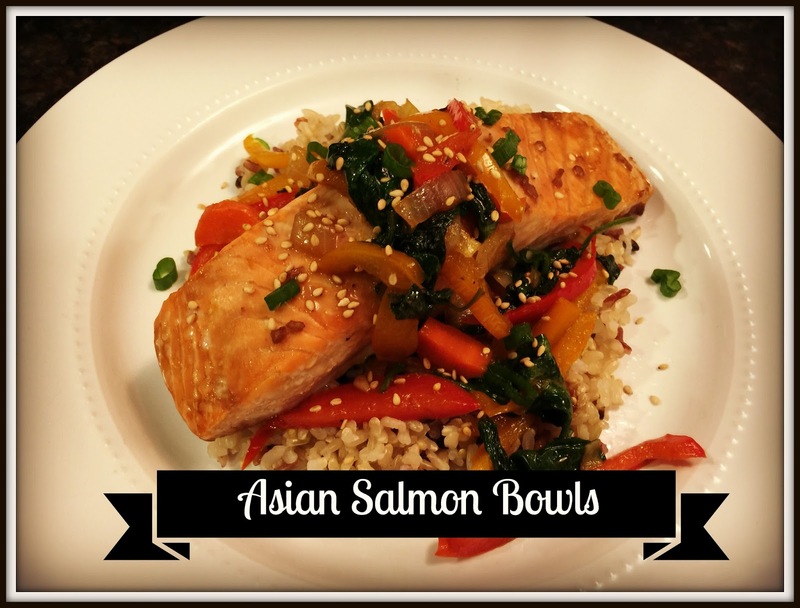 Asian Salmon Bowls are a quick dinner and similar to a stirfry. I have shared stirfry recipes before, and I love them for a couple reasons. They come together quickly, you can use nearly any veggies you have on hand and it's a great way to get in lots of veggies at dinner. For these salmon bowls I make a quick glaze, by whisking together 1/4 cup liquid aminos, 1/8 cup honey, t sp ginger,and the juice & zest of 1/2 an orange. Use about a third of the glaze to brush the salmon fillets and grill for about 5-6 minutes per side (you can also roast in the oven at 425 for 15 minute).. Heat up a few tablespoons of coconut oil in a wok over high heat and saute your veggies. I love to use onions, peppers, spinach, mushrooms and baby bok choy and use about 4-5 cups of fresh vegetables. Once your vegetables have softened (about 5 minutes) add the remaining glaze and toss to coat. Layer your vegetable mixture over some brown rice or cauliflower rice and top with the salmon. 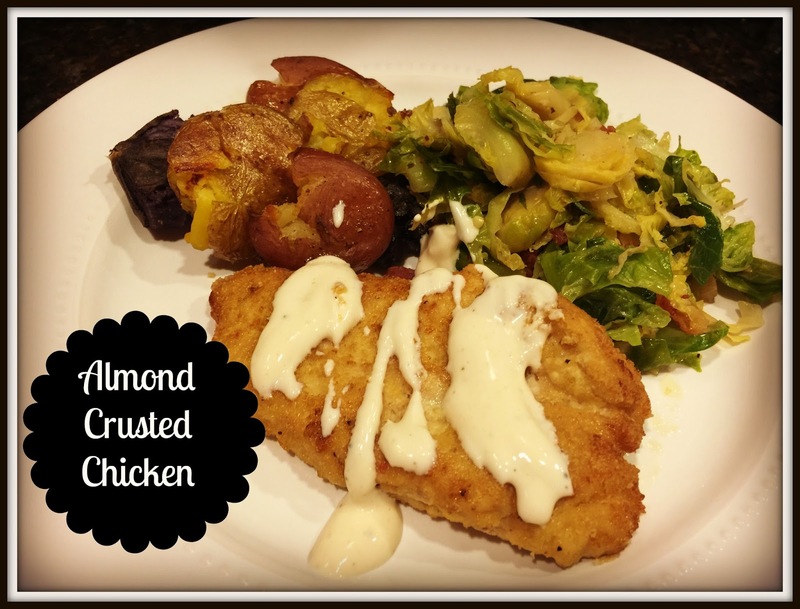 Almond Crusted Chicken with Smashed Baby Potatoes & of course something green! And this chicken?? Oh my gosh... so good! Now I will tell you...I have only made this recipe with organic chicken breasts. It's not in our grocery budget to buy everything organic, but I make a dent where I can. Organic chicken tastes so much better.... I will never go back! For the chicken, use 1 lb of boneless chicken breasts and pound each until they are about 1/4" thick. (I also cut each in half lengthwise before I pound, so I have 6 pieces). Set up two large, shallow bowls or pie plates work well too. In one place 3 egg whites & 2 TBSP of water and whisk. In the other place 1 cup almond flour, zest of 1 lemon and 1 TSP salt and 1/2 TSP pepper. Heat a few tablespoons of coconut oil in a pan over medium- high heat. Dip each piece in the egg, then the flour and put in the pan. Cook 2-3 minutes on each side, transfer to a foil lined baking sheet and bake at 350 for 12-15 minutes, or until chicken is cooked through. I top mine with a very simple lemon dijon sauce , that I have shared before . Take 6oz plain Greek yogurt, 1-2 TBSP dijon mustard, juice of half a lemon and salt & pepper to taste. Mix together and add a little water to thin it out. It's a perfect topping for seafood or chicken and without all the additives of a pre-made sauce. You can grab the recipe for the the smashed potatoes and sprouts here. This is one of my favorite ways to make meatloaf. 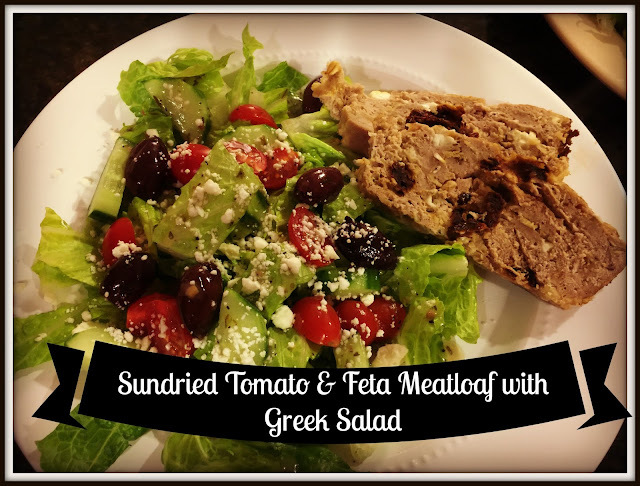 This Sundried Tomato & Feta Meatloaf with Greek Salad is so good. I found this recipe from Giada years ago. I follow all steps in the recipe, however I substitute oats for the breadcrumbs. We make a quick salad with cucumbers, tomatoes, kalamata olives & feta to go along with it. This is a simple meal we had last week and it was delicious! Grilled Halibut topped with bruschetta. Our local grocery store has an olive bar, so I just grabbed some fresh bruschetta there. Drizzle the halibut fillets with a little EVOO, sprinkle with salt & pepper and grill for 10-12 minutes. Top with the bruschetta once they come off the grill. We paired ours with some cauliflower rice and sauteed spinach. It's the end of the week and we all need something simple. These BBQ chicken pizzas are so full of flavor and are easy to throw on the grill. Spread about 1/2 cup of BBQ sauce (try to find one with low sugar, simple ingredients). Top with 3/4 shredded mozzarella & 1 cup shredded chicken. Now you can get creative... we like green onions, sauteed red onions, a little bit of smoked gouda cheese and sometimes black olives. The kids don't love onions, so I leave some without. Grill for 5-7 minutes. I put foil underneath, to help prevent the bottom from burning. And during grilling season... grilled romaine is my favorite! Drizzle the romaine with a little EVOO, sprinkle with salt and pepper and grill for just a few minutes...soooo good! Have a great week friends! See you tomorrow for Show & Tell Tuesday...Favorite Grown Up Parties! There's always room for one more at our family table! 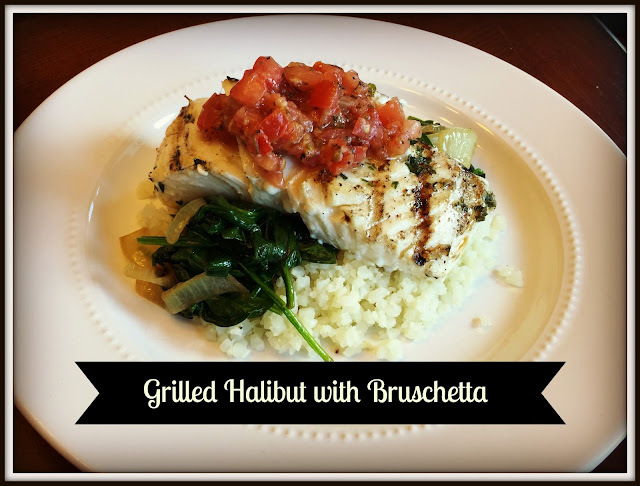 Halibut with bruschetta sounds AMAZING! Def going to give that a try.